Buying an engagement ring is a huge investment for many people. Not only does it symbolize the commitment you will be making, but it often involves a significant financial investment. Understanding how this will be insured is a big deal. From the moment you buy the engagement ring to planning your wedding and life together, there are a lot of options to consider for your insurance. Here is what you need to know about what kinds of insurance you can get for your engagement ring, as well as what kind of insurance you should consider when you are getting married or engaged. What Type of Insurance Do You Need When You Plan to Get Married? Home, Condo or Renter's Insurance: It will protect your personal property and may also include protection for your wedding gifts. You can learn more about personal contents insurance in this article, condo insurance here and renters insurance here. In addition to providing coverage for all the things you have in your home, residential insurance also provides liability coverage to protect you and your family. Many people think that buying renter's insurance is not necessary and wait to buy a home before they buy insurance, but considering renters insurance before you buy a home may not only protect your things and liability while you rent, but may save you money on your home insurance when you buy your first home since you will establish an insurance history that may grant you discounts. Health Insurance: Once you are engaged, married or are in a domestic partnership, you should look into the health insurance options that you and your fiancee or spouse have because it may make sense to change your health insurance policy into a family plan. Exploring all your options may be a good way to save money on your health insurance, especially if you take advantage of coordination of benefits options in cases where you would be covered under two plans. Life Insurance and Disability Insurance: It is worth considering that the younger you buy life insurance, the less expensive it is. There are many options for low-cost life insurance that you can look into. Insurance for disability is also something worth having a conversation about with your future spouse, especially if you are a freelance worker. Wedding Insurance: There are 7 things wedding insurance may cover to help you decide if this is something you are going to need. Engagement Ring Insurance: You have several options to insure an engagement ring. Contact your own home insurance company and have them add an endorsement to your policy for the ring as a scheduled item or rider. Many insurance companies have special limits on personal items such as jewelry, so if you do not insure the ring specifically, then you may not have enough insurance on your renter, condo or homeowner policy to cover the ring if it gets lost. The second option is to look into engagement ring insurance. Some high-value home insurance companies may be willing to insure your ring on a stand-alone policy. Chubb, AXA Art, and others offer coverage for high-value jewelry, or Jewelers Mutual offers various options to name a few examples. If you are living with your parents, contact your parent's insurance company and ask them if they can insure the ring for you until you propose. Once you have proposed, you can have your fiancé(e) insure it on their own policy. You need to know the value to replace the ring to insure it. You should get a copy of an appraisal which describes the ring fully by a recognized appraiser; your insurance company can help you understand what they will require. If the ring is lost or stolen, will you get a cash payout equal to the value to replace the ring, or will you be forced to replace the ring if you have a claim to get the full replacement value? What happens if you can not replace the ring or find something similar? Are you covered for damage or just loss or theft? What if a stone or piece of the ring falls off or is lost, can you still be compensated for the loss of the stone, or parts? Is your coverage worldwide or limited in any way? What is not covered, what are the exclusions? How often do you need to update your appraisal? Is there a maximum amount that will be paid if the ring is lost, stolen or damaged? If the ring disappears and you don't know what happened, for example, if it is not due to theft, what kind of proof will be required to be paid? Can you choose where to replace or repair the ring? We've covered many different kinds of insurance you might want to consider when you get engaged or get married. 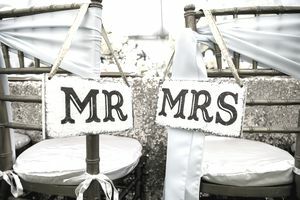 If you already have insurance before you get engaged, it is always a good idea to update your home insurance and car insurance company to tell them you are getting married because it may help you add discounts to your policy, add your spouse or make you eligible for different products. If you have life insurance or employee benefits through work, you may also want to take the time to check on who your beneficiary is and make sure you've updated all the proper info.